‘Wow, a new Black Sabbath record: this should be really good!’ involuntarily blurts out your brain before it has time to digest the relevant information: just about everything Ozzy Osbourne has done with his career since the 1970s. Press play. Courtesy of Tony Iommi, there’s a strident slurry (we don’t mean flurry) of guitars that would have Alice Cooper punching the air, and then here he comes: ‘Is this the end of the beginning/Or the beginning of the end?’ he ponders, a sage for the ages. 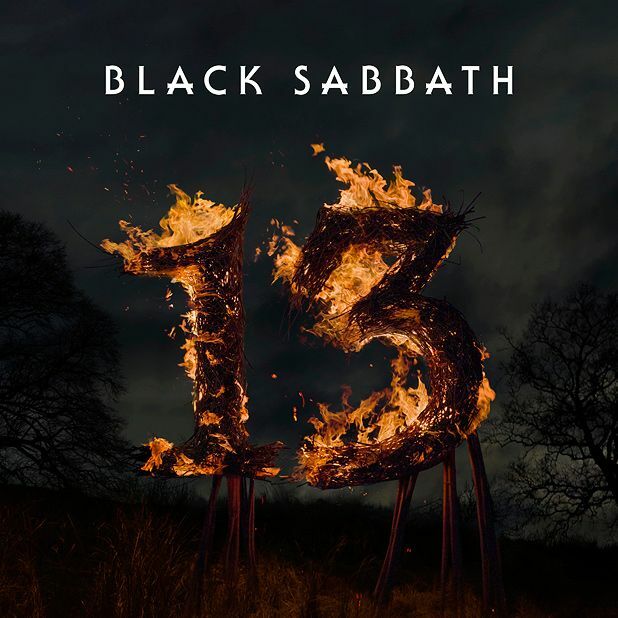 Written-on-a-fag-packet lyrics, 13 years too-late millennial angst and a delivery that rather ludicrously pronounces ‘beginning’ as ‘beh-gyin-yi-hng’: Ozzy’s back. That track’s actually one of the album’s best, both for the powering riff that Iommi unleashes midway through and the baffling fact that it was premiered in America on CSI. It doesn’t last. Ozzy manages to shoehorn in a triple whammy of duff rhymes on ‘God is Dead’ (‘trust – lust – unjust’) and the truly comedy melodrama of a chorus that runs ‘Won’t someone tell me the answer: is god really dead?’ Is he expecting a one-word answer? Three of the eight tracks here are less than five minutes long but the rest are more than seven, and most of them really feel it. It’s an album which at almost every turn seems to slump back into the dated 80s routine of overdriven everything and pretentiously furrow-browed lyrics. The only slight respite arrives courtesy of the Led Zep-style psych-folk of ‘Zeitgeist’ (‘Astral engines in reverse/I’m falling through the universe again’ is one of the keener cod sci-fi couplets here) and every point at which Iommi manages to finally wrest a song from Ozzy and deliver a riff with clarity and purpose, such as when ‘Damaged Soul’ finally gets exciting. Less a triumphant return, more a rehearsal for the tour.